Originally called Riduna II, in 1948 this raised top-sides Hillyard was renamed Red Goose. 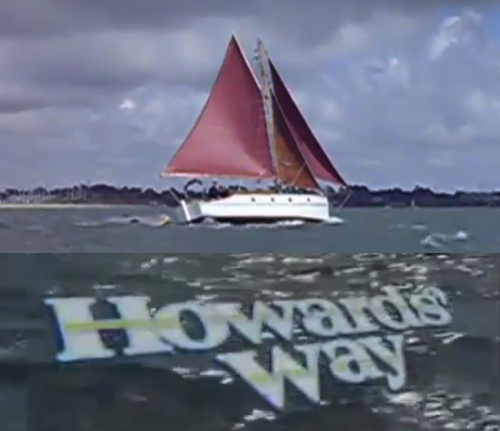 She was filmed for the BBC's soap-opera Howard's Way and appeared briefly in episode twelve of series six, aired Autumn 1990. A You-Tube video of many of the sailing shots, dropped in the final release, is available via the links section below. 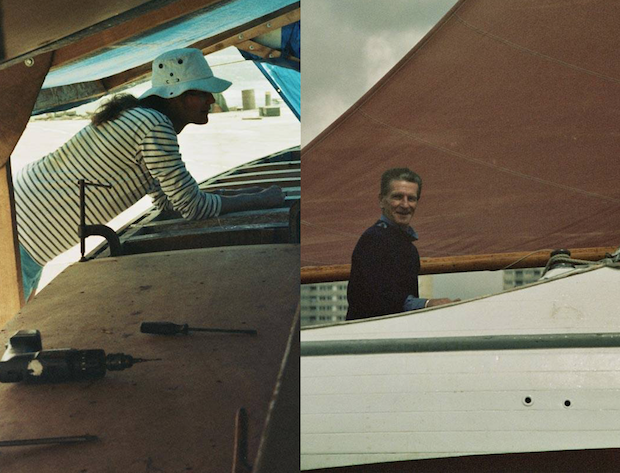 Peter Ingram and Kate Middleton rescued Red Goose from a beach on Hayling Island in the Solent in 2001 and commenced a major restoration before selling her to a live-aboard owner. Alas, he allowed her to deteriorate quickly. Rescued again, this time by Ian MacGillivray, she was brought back into sailing condition for the 2017 sailing season. Previous owner Kate Middleton, then bought her back. She is keen to look at improving her sailing performance, by adding a feathering prop, for example. It's Kate who has provided the photographs below. Sister ships to Red Goose include Marie Louise II from 1926 and Waif from 1929.